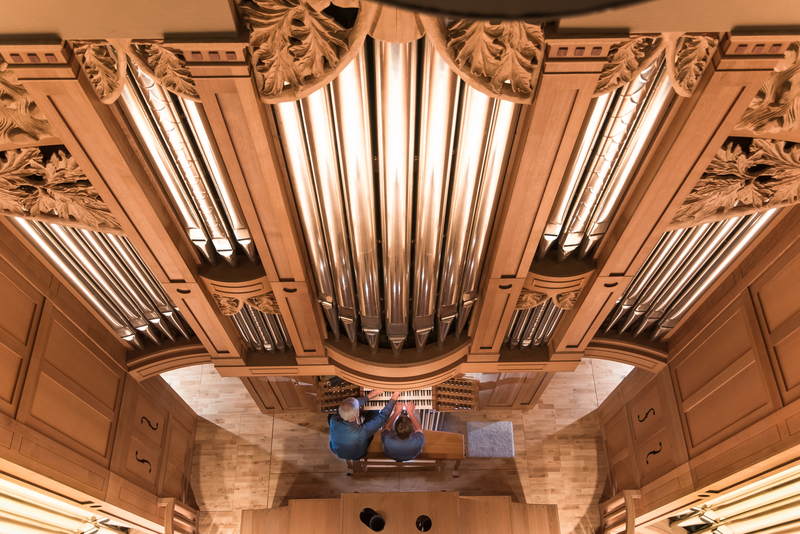 Brevard College will host a performance by well-known organist Dr. Ann Labounsky on Sunday, Nov. 17 in the College’s Porter Center for Performing Arts. The 3 p.m. concert, which is free and open to the public, is part of the College’s new Guest Artist Series this year. Dr. Ann Labounsky is a well-known expert on the organ music of French composer-organist Jean Langlais. Sunday’s performance will include works by Bach, Mendelssohn, and Langlais, and will feature Dr. Labounsky improvising on submitted themes, a skill she honed under the tutelage of Langlais. Dr. Labounsky holds degrees from the Eastman School of Music, the University of Michigan and the University of Pittsburgh. As a Fulbright Scholar, she studied in Paris, France, with Langlais and Andre Marchal and served as an interpreter for Langlais on several of his concert tours to the United States. She has authored the biography of Langlais, titled Jean Langlais: The Man and His Music. During her career, Dr. Labounsky has recorded the complete organ works of Langlais, which comprise 26 CDs. From 10 a.m. to noon on Saturday, Nov. 16, Dr. Labounsky will lead a workshop on Jean Langlais: The Man and His Music, which will be held at First United Methodist Church in Brevard. The workshop is open to the public free of charge. The final Brevard College Guest Artist series performances for the fall semester will be the Gala Vocal Chamber Music on Nov. 22. For additional information, contact the Brevard College Division of Fine Arts at 828.884.8211.